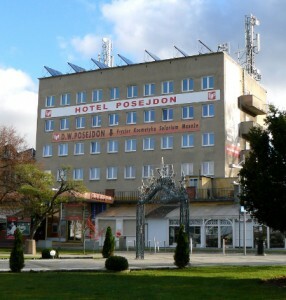 The Posejdon holiday house is a central object of the Forum-Invest Międzyzdroje. The big advantage of Posejdon House is its setting – the property is located in an attractive promenade, almost at its central point. No less important for our guests is also close proximity to the wide and clean beach – from Posejdon building to the Baltic Sea is only 50 m. From most of the rooms you may enjoy a beautiful views of the sea and the surrounding park, which is close to the famous Stars Avenue in Międzyzdroje. 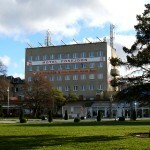 After modernization process, Posejdon has numerous of amenities such as wide corridors, new elevator and ecological heating system. 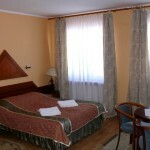 We offer to our guests a comfortable stay in elegant rooms with private bathrooms and showers. 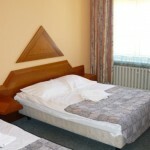 Each room has own TV, radio and beach equipment like deckchairs and windbreaks. For guests who like to keep active lifestyle we have a fitness room with modern equipment and a massage studio with high qualified staff. 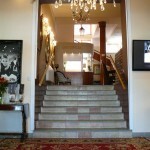 Also sauna located in the building lets you to get relax and makes you feel better.